Does adding olive oil to water prevent spaghetti from sticking together? Everyone hates it when the noodles stick and clump. Does adding olive oil to the water help? 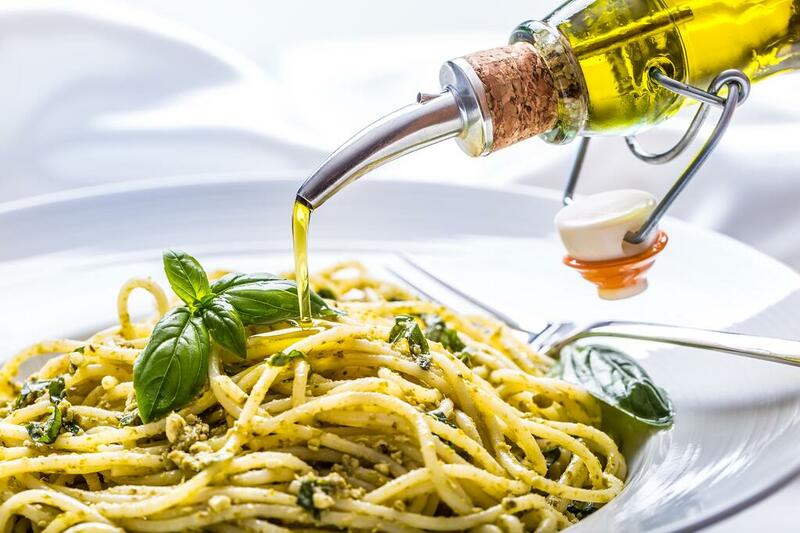 Olive oil is fantastic at many things, but it does not prevent spaghetti from sticking together. Because it floats to the top of the water while the spaghetti is cooking in the water, having the oil there does nothing to prevent the pasta from sticking together while cooking. Furthermore, when you drain the water and oil away, a coat of oil is left on the pasta. Although this may not seem like a problem, the coating of oil prevents sauce from sticking to the pasta, making it difficult for the pasta to absorb the flavor of any sauce you put on it. But don't put away the olive oil! Olive oil improves every kind of store-bought spaghetti sauce. Mix some extra-virgin olive oil into store-bought pesto. Or just toss your pasta with olive oil and a little bit of cheese for a delicious meal.